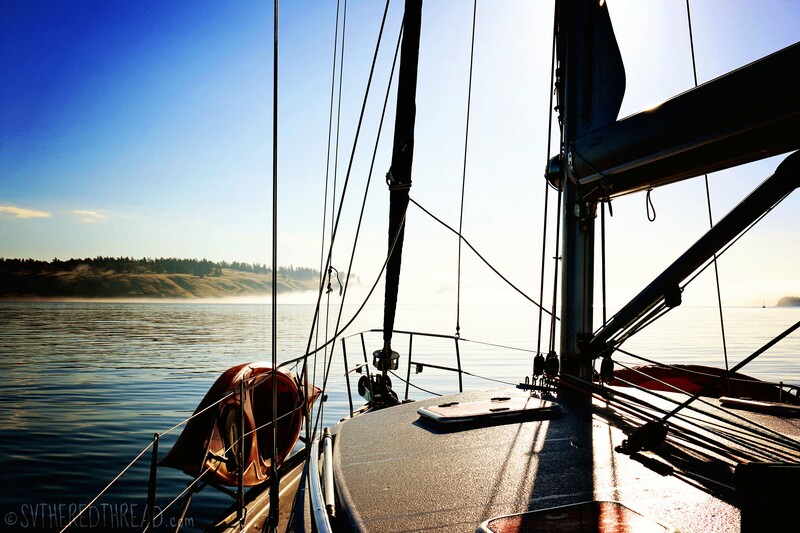 On August 5th, we kicked off our mini, get-ready-to-cruise shakedown with our first overnight sail. 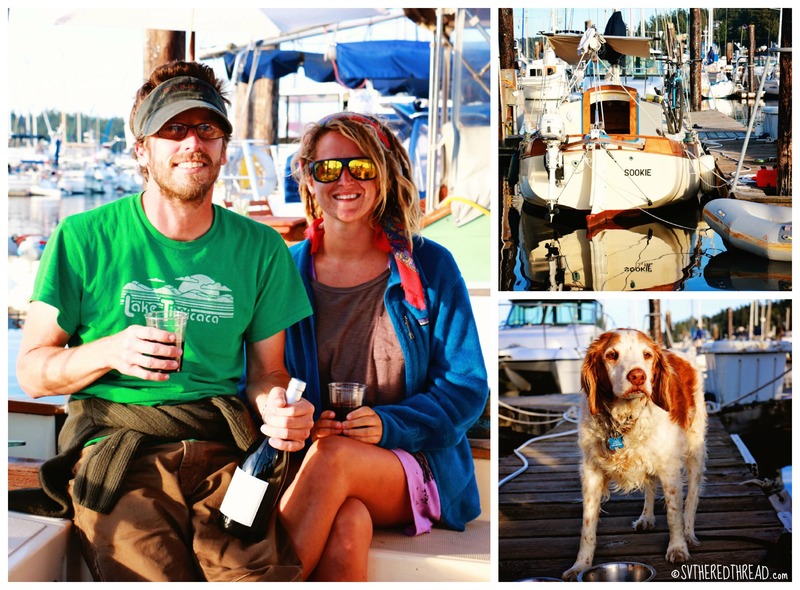 We arrived in Roche Harbor on San Juan Island exhausted and proud, knowing that if we could do one, by hell we could do many. After a quick breakfast nibble, we dinghied into town, docking Miss Sassy Strings alongside the fleet of inflatables whose crews had already set out exploring. 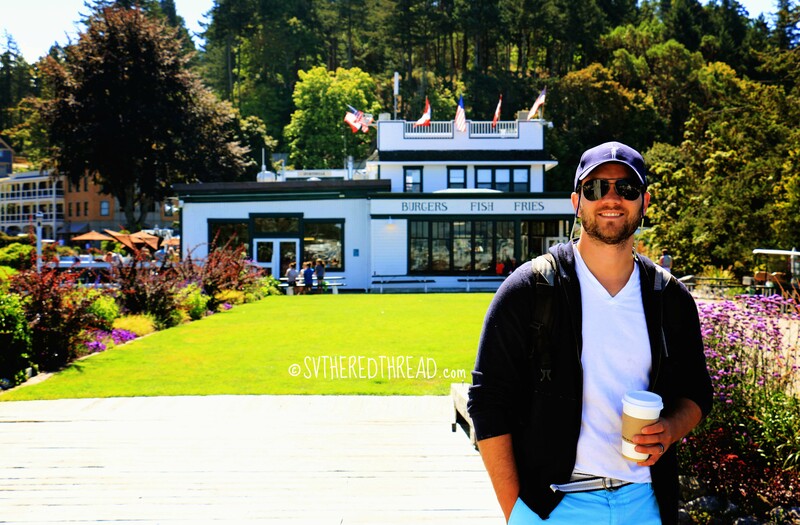 Although Roche and Friday compete for the title of most well-known harbor in the San Juan Islands, the two could not be more different. Roche Harbor is comprised primarily of a few whitewashed historic buildings that imbue the area with quaint, proper charm (I’ll admit, there is something about the place that feels a bit too polished, like The Truman Show). 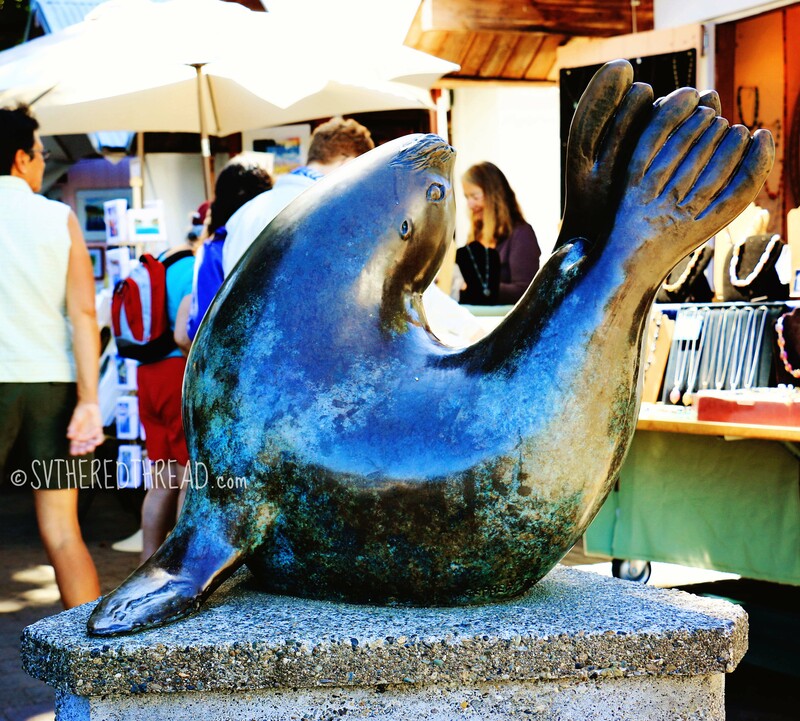 Friday Harbor, on the other hand, offers a broad array of shops and eateries and is a hubbub of energy, fostered at least in part by the daily arrival and departure of ferry visitors from the mainland. 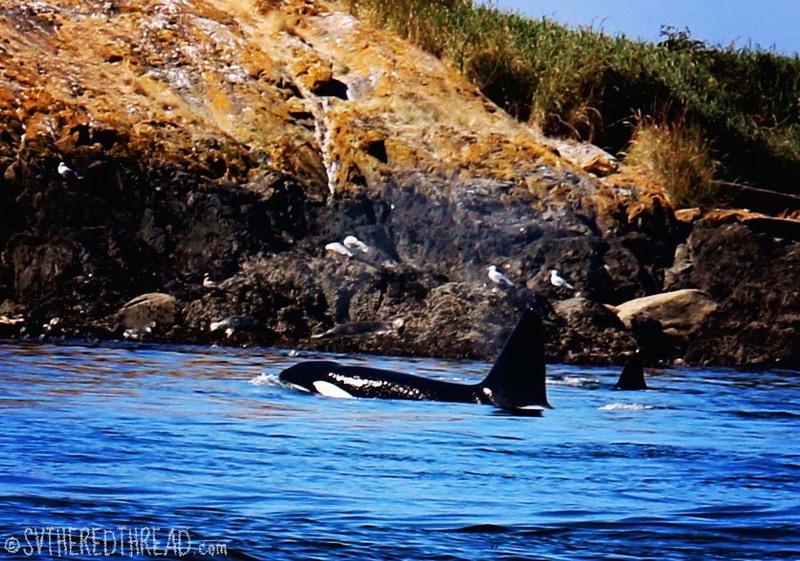 Dotted with several hundred islands and teaming with sea life and spectacular sunrises and sunsets, The San Juan Islands are some of the most esteemed cruising grounds in the Pacific Northwest. 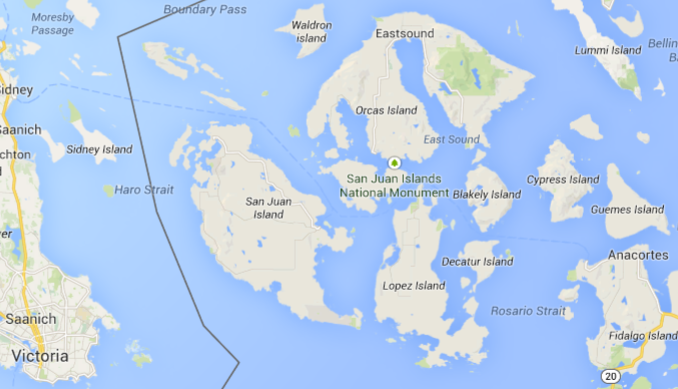 Once upon a time, the San Juan Islands were a source of international conflict. Britain and America disagreed about how the Treaty of Oregon, signed in 1846, should be interpreted with regard to possession of the San Juan Islands. The Treaty stated that the national divide was in “the middle of the channel.” Simple enough, right? Well, it would have been had only one major channel existed. Bordered by Haro Strait to the west and Rosario Strait to east, Britain and the US maintained divergent interpretations about which of the two straits the Treaty referred. A cross-national territory tug o’war ensued. The drama came to a head when the Pig War erupted in 1859. The Pig War was instigated by a pig shooting–literally, an American shot a prized British pig that raided his garden. Thankfully, despite preparations for a full scale battle and several years of tension, the Pig War ended nonviolently. The Pig War was succeeded by 12 years of joint military occupation on San Juan Island. The struggle ultimately terminated in 1872 when an arbitration commission ruled in favor of US possession of the San Juan Islands. 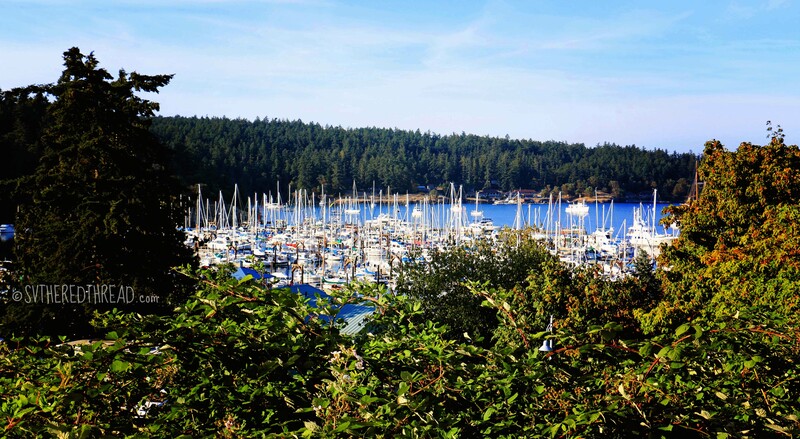 While jointly occupied by British and US troops, lime deposits were discovered in the hills that overlook Roche Harbor. The port’s namesake, a British Lieutenant named Richard Roche, set his soldiers to begin the process of quarrying the lime (and, go figure, burning the precious commodity). After the US formally gained possession of the San Juan Islands, John S. McMillin, a Tacoma lawyer, discovered the richest deposit of lime on the island. It was under his leadership that the Tacoma and Roche Harbor Lime Company thrived, and the iconic buildings that adorn the waterfront were constructed. 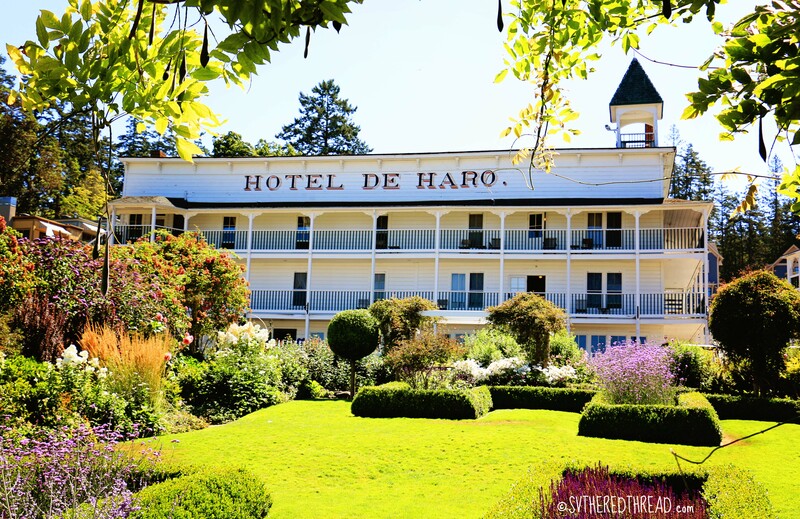 Hotel de Haro was completed in 1886 and has hosted the likes of American presidents and John Wayne. The McMillin home now boasts a restaurant that prides itself on serving locally raised fare. Our Lady of Good Voyage Catholic Chapel, regal in simplicity, stands watch over the marina. 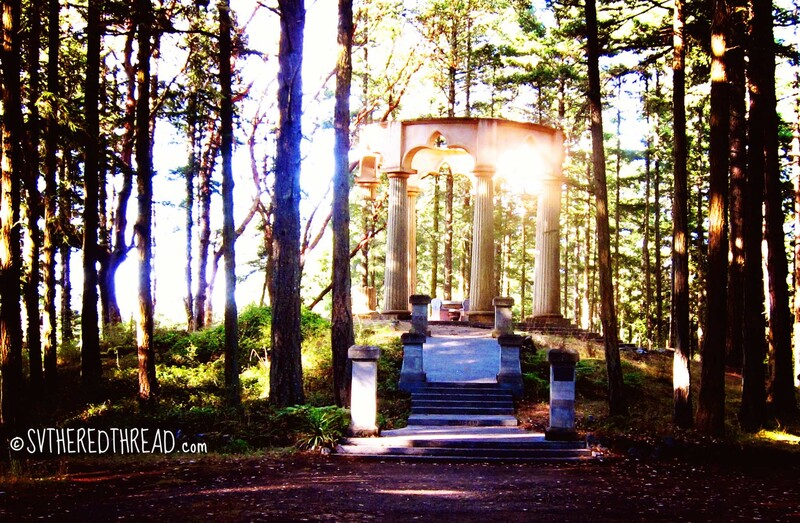 Neil and I enjoyed a peaceful 20-minute hike from town to the McMillin Family Mausoleum, which stands in memory of the family’s influential legacy in Roche Harbor. The monument is striking, both in its grandeur and in its appearance, which is more reminiscent of European than American architecture. 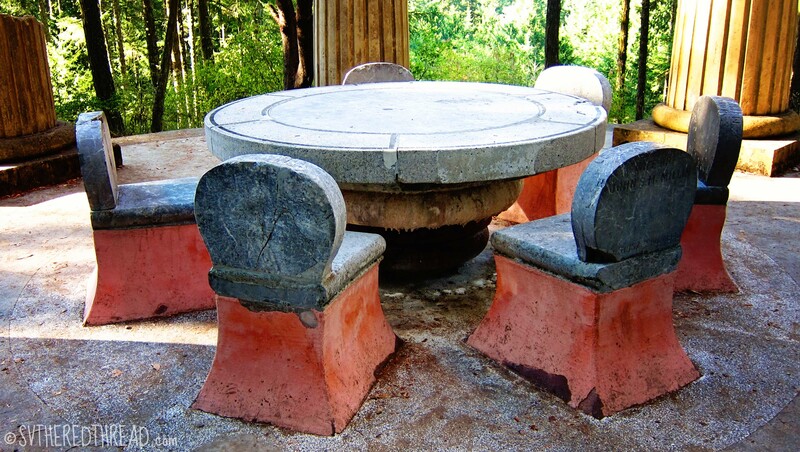 Encircled by columns scaled to match those of Solomon’s Temple a large limestone table surrounded by six chairs rests, each of which serves as a crypt for a member of John S. McMillin’s family. The monument bears numerous symbols, attesting to his love of family, and to his commitment to the fraternal brotherhood of Sigma Chi and the Masonic Order. One of the columns was left purposefully unfinished to represent that man dies before his work is completed. The pillars were cold to the touch and the atmosphere generally chilling. We were glad for the warm sunlight that streamed through the trees of the surrounding woods. Our physical experience was mirrored by our emotional one, as we explored reverently a place that was at once creepy, bizarre, and beautiful. 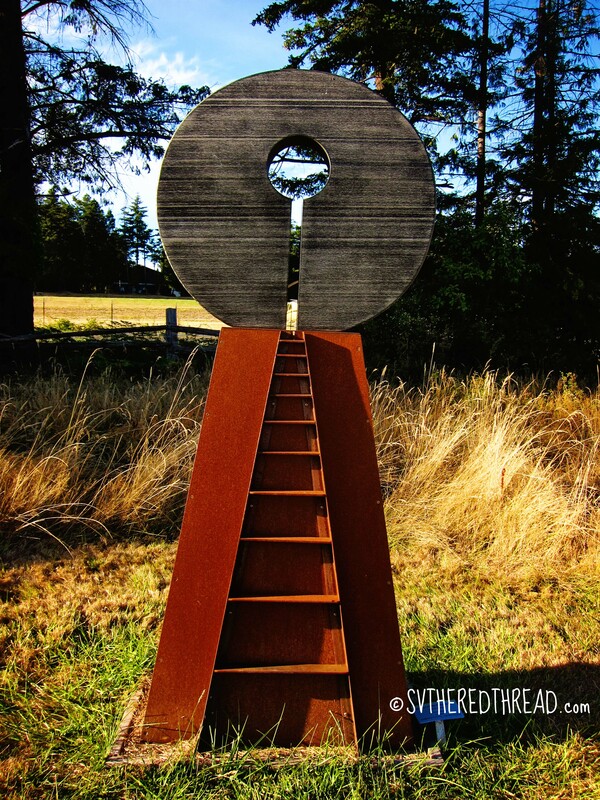 On our return to town, we paid a visit to the San Juan Islands Sculpture Park, which boasts over 120 sculptures situated across 19-acres of grassy meadow. 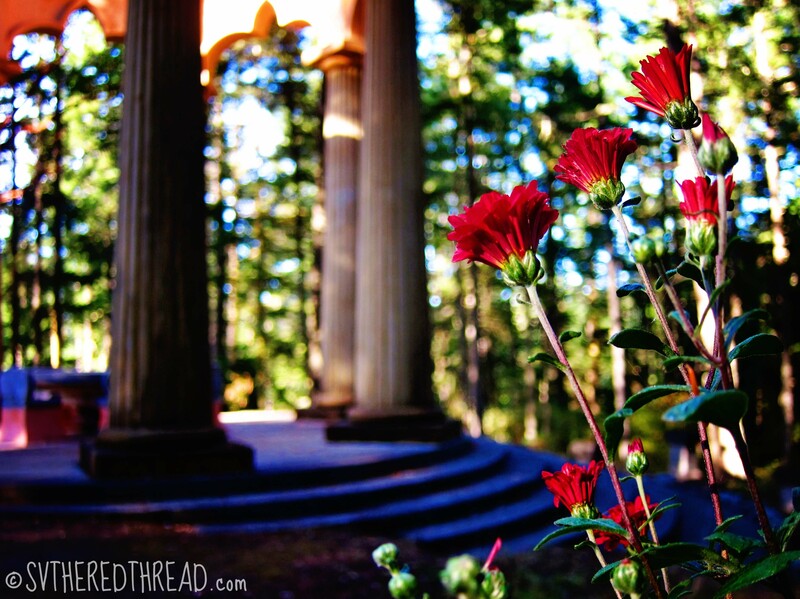 The Park is an unexpected display of artistic excellence, particularly for such a remote region. One of my favorites was a piece below, Peace Portal, by Brian Berman. 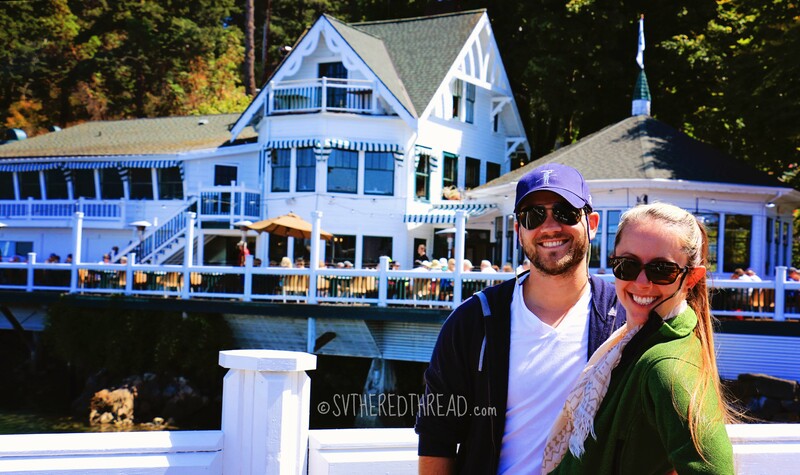 As much as Roche Harbor piqued our interest and as glad as we were to have visited, Friday Harbor is hands-down our favorite of the two. 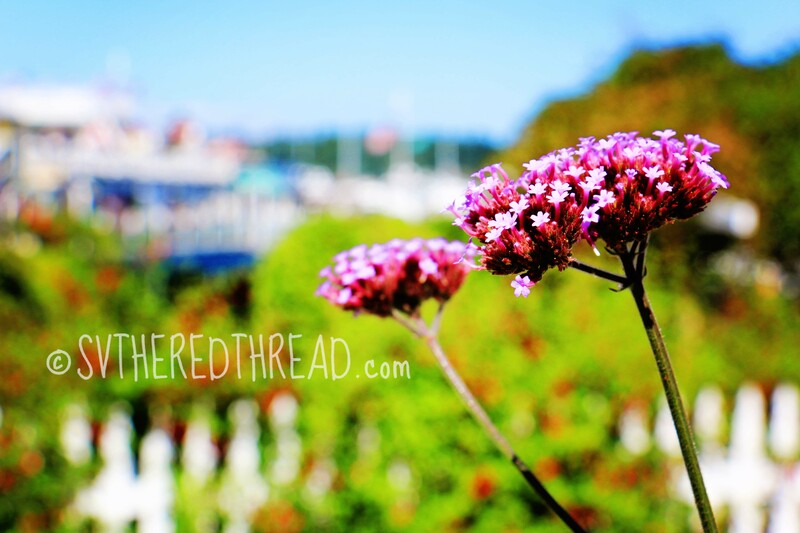 Friday Harbor was the first place we sailed to after we purchased The Red Thread, and memories of the exuberance of that day seem to flood back to us each time we visit. Our love may also be related to the damn good ice cream. Either way, Friday is our favorite! In the mid-1800s, Hudson’s Bay Company (HBC), one of the preeminent trading companies in the world, was busy establishing forts in the region and exporting many of the natural resources of the Pacific Northwest (e.g., salmon, beaver pelts, timber). In the 1850s, approximately 1,300 sheep were set to graze the southern portion of San Juan Island. Among the individuals who cared for the rapidly growing flock was a Hawaiian sheepherder and HBC employee, known simply as Friday. 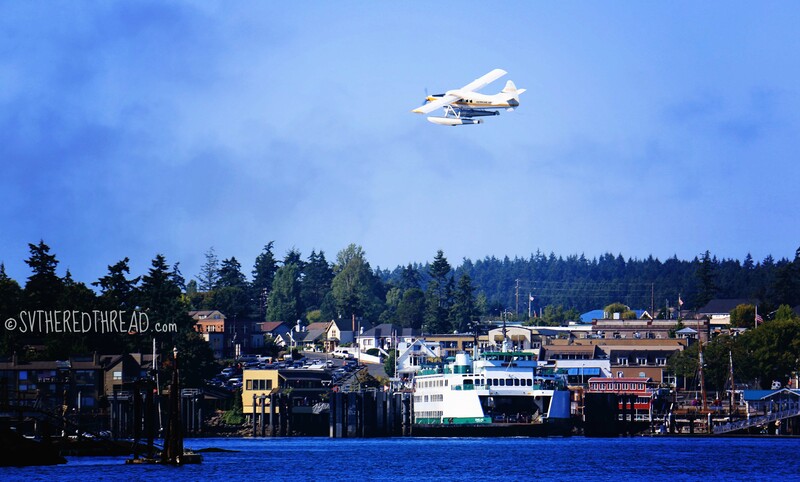 The town, which came to be known as Friday’s Harbor, built up quickly and has survived a number of economic ups and down, now thriving in large part as a result of tourism. 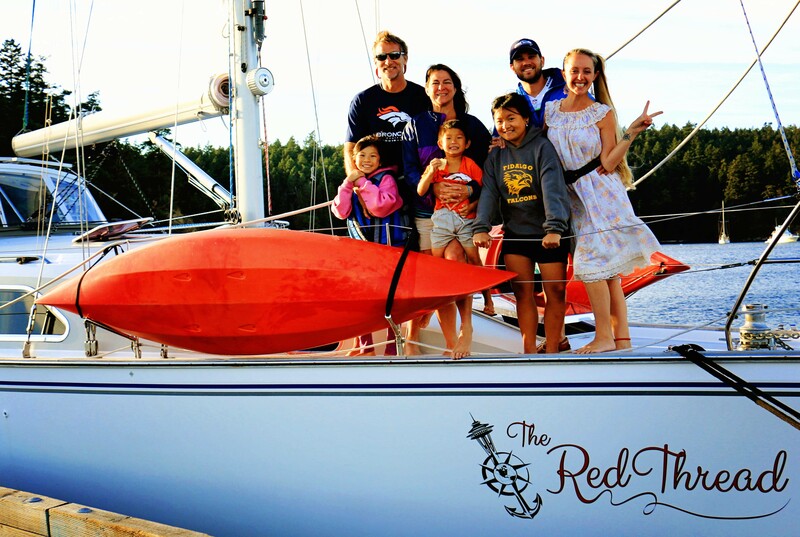 The highlight of our time in Friday Harbor this time was the afternoon we spent with the Maddox family, The Red Thread’s prior owners. 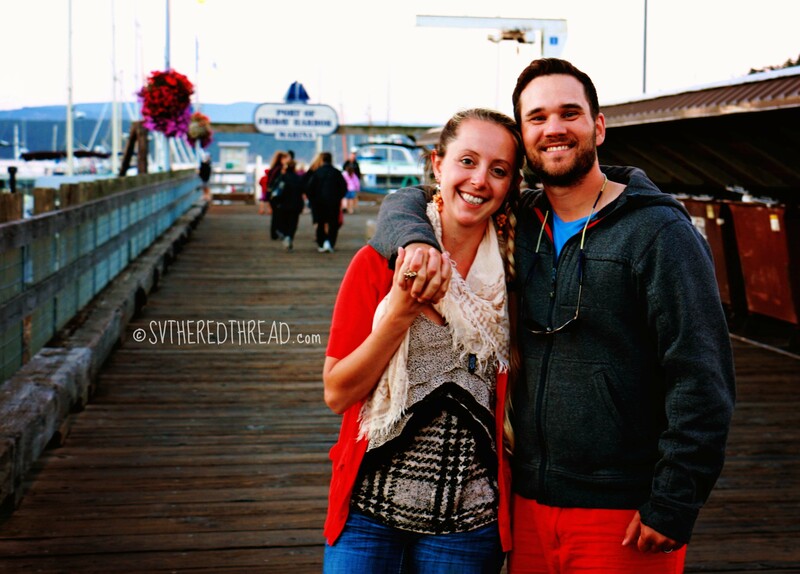 Our friendship with the Maddox family was an unexpected gift that came along with purchasing The Red Thread—they are among our favorite people in the world! We whiled away the afternoon tethered to the guest dock, grilling hamburgers, sharing drinks, and enjoying laughter and good conversation. As is usually the case, our time together stretched into the night, and they caught the last ferry back to the mainland. We arrived in Makaye Bay, our final anchorage, in the late morning, with ample time to get down to the business of testing our generator, running our watermaker using our generator, and pumping up our inflatable Stand Up Paddle Board (thank you, Tower!). Fortunately, after several hours of work, we were happy to celebrate success on all accounts. Whew….especially since we waited until our last full day to put the final “shake” in our shakedown. We awoke to dew-kissed dodger panes, leaving early to ride the tides home. With the exception of losing our flasher, deep-six sinker, and a snazzy new lure to a seaweed snag (which was actually quite frustrating), our journey home was beautifully uneventful. 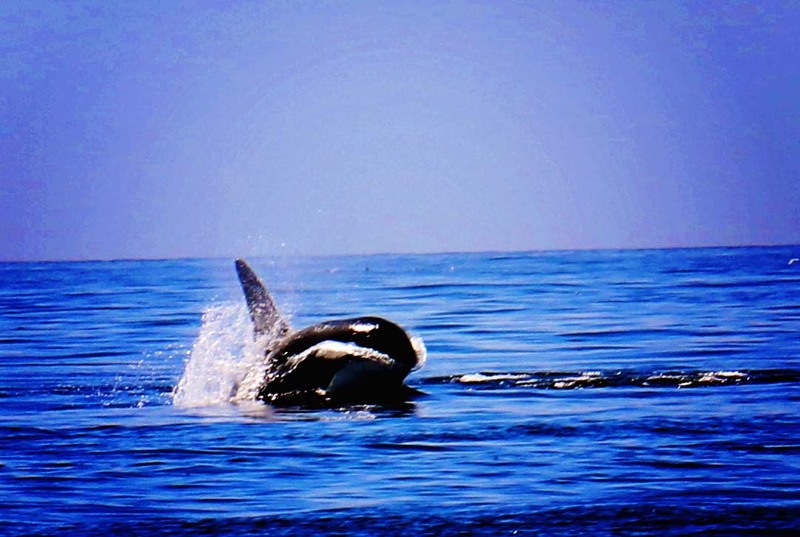 We sailed partway across of the Strait of Juan de Fuca in light winds under bright blue skies and then opted to run our watermaker underway, doing repeat testing for quality as we filled our tanks for the first time from the sea. 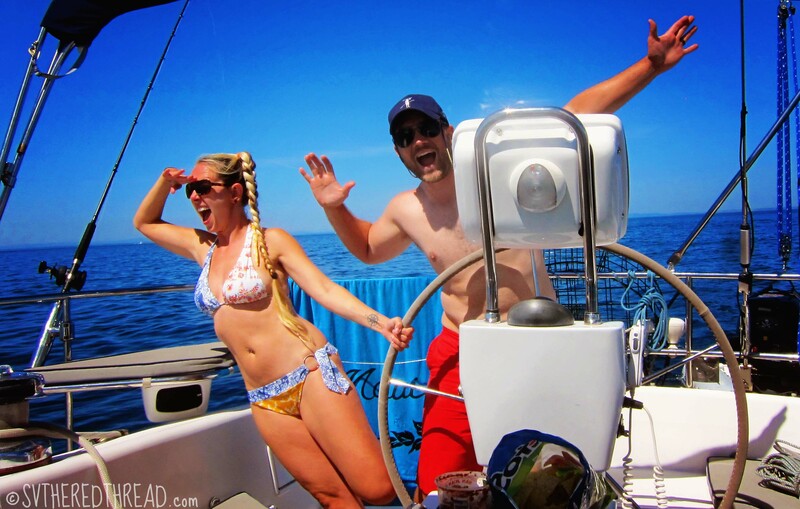 This entry was posted in By Jessie, Countdown to Cruising, Pacific Northwest, Sailing and tagged Art of Hookie, Friday Harbor, Maddox gaggle, Makaye Bay, Orcas, Roche Harbor, San Juan Islands, Shakedown. Bookmark the permalink. What an adventure and beautiful photos!